Sponsored by the Bard Graduate Center through a grant from the National Endowment for the Humanities, Catena, the Digital Archive of Historic Gardens and Landscapes and its companion website, is envisioned as part of a larger, typologically organized archive of digital images with accompanying educational materials. 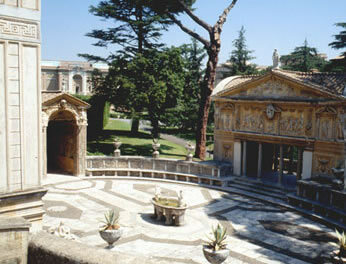 The initial component of Catena is built around the villa, an important landscape type in garden history. Its purpose is to serve as an educational tool for teachers and scholars of landscape history affiliated with schools and universities. The images and intellectual content on this site should be used for educational purposes only. Important: Please be aware that this site makes extensive use of pop windows. For information about how to adjust your browser settings, click here. This project has been made possible by a major grant from the National Endowment for the Humanities, with additional support from the Gladys Krieble Delmas Foundation and the Samuel H. Kress Foundation. Any views, findings, conclusions, or recommendations expressed in this website do not necessarily represent those of the National Endowment for the Humanities.